Creating a competent, loyal, and leadership-rich workforce requires an investment in organizational training, career development practices, and related technology. 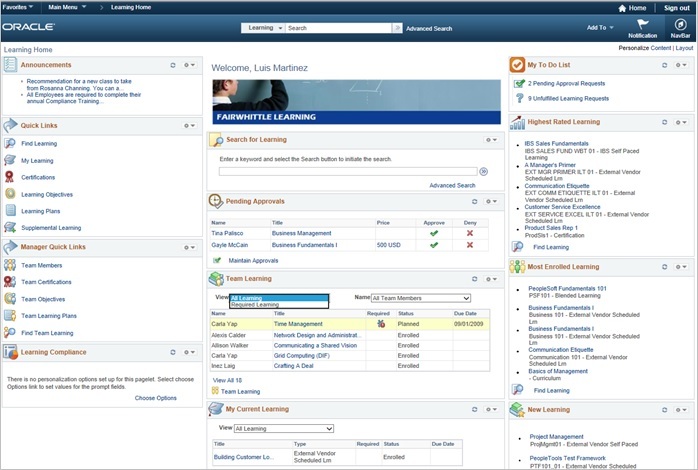 PeopleSoft's Enterprise Learning Management (ELM) application provides tools that can be used to identify key talent and transition competent workers into high performers. By improving skill sets and building flexible succession plans, organizations position employees to execute on their performance objectives.